The Kyle Orton vs. Tim Tebow debate is already bothering some of their teammates according to Josina Anderson of ESPN.com. “That’s the circumstances that we’re in. That’s the climate that we’re in, and we knew we were going to be in — so be it. There’s no being patient with Kyle. Kyle is ready to go. He didn’t perform maybe as well as people expected him to. Whatever. He’s our quarterback, and we’re going to eventually win games,” Lloyd said. Despite fans clamoring loudly for Tebow late in the fourth quarter, some of his teammates don’t expect Fox to make a change. 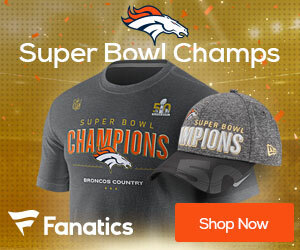 Do you really think the Broncos’ organization can completely ignore the consumers of its product in such an arrogant fashion. What other industry can the CEO, president, and employees publicly insinuate that the consumers of its product are too stupid to have a say about the quality of its product. Why do you think the fans were chanting Tebow? 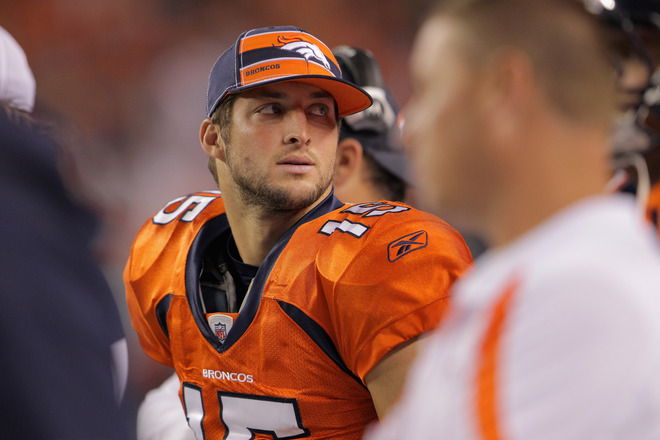 The fans have seen what both Orton and Tebow can do on the field, and they want Tebow. The consumer is not worried about mechanics, foot work, or stats. They want to be entertained with a quality product, like every other NFL fan. The Broncos have not won and the fans have not been entertained for over two years with Orton, and they want a change. The Broncos made management and coaching changes last year, but not a QB change. If they don’t make a QB change soon, then there will be more management and coaching changes. That is how business works, including the NFL and including teams without Tebow. C’mon Man…get with it!!!! You can’t be serious. Maybe I’m falling for a troll here, but Tebow isn’t even the third best QB on the team. Well ain’t that way too bad, Bronco players that you are irked!! I don’t know if anyone of “importance” will read this….but there are many Littleton fans discussing boycotting the games if there is a repeat of Monday night!!!! Josh McDaniels destroyed the team, and now John Fox is on his way to destroying the fan support. Oh, yes, classy act of your, Mr. Fox, with Craig Silverman.